The Importance of the Scientific Method for Learning and Life – Ruth Catchen Reach for the Stars! The scientific method is a time-tested method of discovery. It is the foundation used to investigate, refine and communicate new things and prove theories infallible. How does this method, understanding how it works and using it, improve the quality of education and of life? 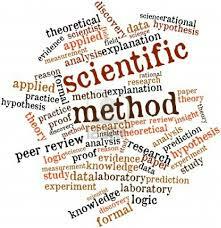 Many think the scientific method is just for scientists to do science experiments. I believe it is a valuable learning tool and process to apply for life. If we employ the tenets of the scientific method to our decision-making, we can become resourceful, resilient citizens. Think about it. Your car won’t start in the parking lot. You automatically run through a series of questions: Do I have gas? Is it the battery? The starter? Are there any other indicator lights showing a problem? One by one, each problem is ruled out or ruled in. A decision is made to proceed. Did your first guess work? If not, did you proceed with something else? Did that work? Either yes or no. Next idea? Finally the problem is solved. Trial and error leads to success and an operable car. It’s the same thing to prepare food. You have a recipe with a list of ingredients. Uh-oh! You don’t have all the ingredients. So now what? Possible substitutes? Then there is the procedure. Perhaps you have an idea of what to do that may meet your preferences more. Is it common to follow a recipe without making some alteration? You taste it and it needs an additional ingredient not on the list. Perhaps there is too much or too little salt. You don’t like sautéing, so you grill. What do you need to do in addition to make this preparation successful? When you are done with the recipe, do you record your alterations for the future? Do you note what is successful and/or what you would like to change? GOAL — You are selling a product, perhaps it is even your professional services. What do you do to improve your status (sales)? MODELS — Inquire and Investigate — What is current? What is modified? What are the outlets to promote yourself or your product. DATA — Collect responses to each ad/medium. EVALUATION — Deciding which ad/medium most closely achieves your goal in numbers of responses. REVISION — Adopting an ad and venue for general distribution. The scientific method is an important learning tool for all. It is not only useful to find truths, but also as a process for decision making. It can be abbreviated or in-depth. The point is to train your mind to evaluate in this way. Instead of becoming random or flustered when a problem arises, count on this tried and true method of evaluation of a situation., and above all use it. It won’t fail to provide you with the facts. At least if you make a poor choice or one based on emotion, you will understand how you arrived at this choice and the consequences. Asking questions, gathering evidence and solving practical problems are the outcomes of using the scientific method to apply to real world situations. Understanding the process of science can help anyone develop a scientific outlook on life. In part, this explanation is why it is so important to encourage the study of STEM skills and STEM or STE[a]M as a pedagogy or protocol of how we learn. Apply these skills to life. Be a STEM literate citizen.